LKY sued FEER in 1989 for report on "Marxist Conspiracy" saga. Nathaniel Koh. This article consists mainly of excerpts from the Straits Times and the Wall Street Journal. 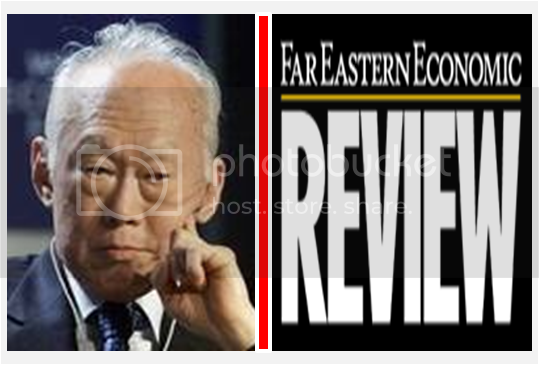 In September 1989, then-Prime Minister Lee Kuan Yew sued the Far Eastern Economic Review (FEER) over an article related to the “Marxist Conspiracy” saga in 1987. Mr Lee was suing the Review’s former editor, Mr Derek Davies, writer Michael Malik, publisher Review Publishing and printer Times Printers over an article, headlined, ‘New Light on Detentions’, run in the Hongkong-based weekly’s Dec 17, 1987 issue. The trial was held before Justice L.P. Thean. Mr Lee was represented by Queen’s Counsel John Previte, while the Review was defended by Queen’s Counsel Geoffrey Robinson. Mr Lee sued the Review over two passages in the article because he felt they suggested that he was intolerant of the Catholic Church, was not in favour of freedom of religious belief and worship, and wanted to victimise Catholic priests and workers. 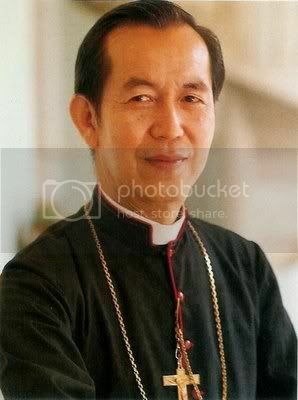 He also believed that the passages meant that he tricked Archbishop Gregory Yong into attending the Istana press conference, trapped or forced the Archbishop into accepting statements about Catholic lay worker Vincent Cheng, and used his influence as Prime Minister to stop the Singapore Broadcasting Corporation and The Straits Times from broadcasting and publishing the Archbishop’s qualification of his acceptance of statements about Cheng. 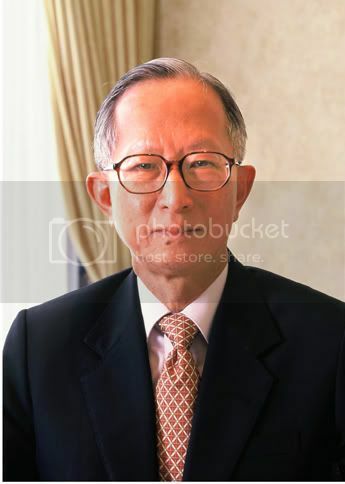 Prime Minister Lee took the stand to give his version of the three meetings that took place at the Istana on June 2, 1987. The meeting was meant to discuss the controversy that had arisen as a result of the arrest in May that year of 16 people, including some church workers, connected with an alleged Marxist plot. Mr Lee’s concern was to prevent a collision between the Church and the Government. He said he wanted to defuse the situation, which he felt was being aggravated by the actions of some priests in whipping up emotion through press statements and special masses for the detainees. The second meeting, which began at 3.50 pm, was between Mr Lee, Prof Jayakumar and officials, and Reverend Giovanni D’Aniello, Charge D’Affaires of the Holy See in Bangkok. Mr Lee told the court that its main purpose was for him to impress upon the Vatican diplomat the seriousness of the situation and appeal for his help in averting the collision. The third meeting, at 5.20 pm, had Mr Lee, with Prof Jayakumar and officials, Rev D’Aniello and Archbishop Yong together. It was at this meeting, the Prime Minister told the court, that he impressed upon Archbishop Yong and Rev D’Aniello the urgency of the Archbishop giving the press a clear picture of the Church’s position. This had become so because a report had been leaked to AFP news agency that Mr Lee had asked to meet the Archbishop and the delegation. A press conference at the Istana rounded up the day’s events. It was at this meeting that the Archbishop read out the statement he had prepared with the help of Rev D’Aniello. What Archbishop Yong was purported to have told some priests later about the press conference made up the substance of the second passage in the Review article that Mr Lee objected to. The three allegations in the passage, Mr Previte noted, were that the Prime Minister tricked the Archbishop into attending the press conference, trapped or forced him into accepting the validity of Cheng’s statement that he had been involved in a Marxist conspiracy, and censored the SBC and The Straits Times. On the first allegation, Mr Previte contended that the Archbishop knew of the press conference well before it took place and took part in drafting the press statement with Vatican emissary Giovanni D’Aniello. The QC further argued that the defence should have called the Archbishop as a witness to prove their case that he was indeed “cornered”. But since they did not do so, they had to accept Mr Lee’s evidence. On the second allegation, the QC cited various notes of meetings which the Archbishop had with Home Affairs Ministry officials before the June 2 meeting, which showed that he, the Archbishop, had accepted the basis for the Government’s detention of Cheng. censored SBC and The Straits Times, then it was clearly defamatory and the Review had no defence against it. The Review maintained that several meetings at the Istana on June 2, 1987, led to the Review article and Mr Lee’s defamation suit. The article, it said, was a “remarkably accurate” account of events at the Istana on June 2, 1987, and the Review was justified in publishing it. THE defence called Catholic priest Joachim Kang as its only witness. The priest was in the Church delegation which met the Prime Minister on June 2, 1987, and was also at a “post-mortem” discussion held at the Archbishop’s house the next day. · The Mass for detainees: There was nothing unusual about the May 27, 1987 Mass at the Church of Our Lady of Perpetual Succour. Father Kang told the court that there had been Masses with congregations bigger than 2,500, and it was not unusual for lay people to address the congregation during a Mass. 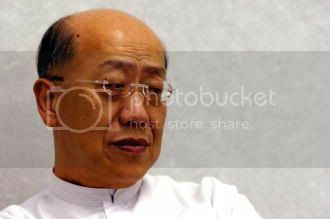 · The Istana meeting: The Prime Minister was stern and forceful when he told the Church delegation on June 2, 1987, about his fears of an impending “collision” between Church and Government. Father Kang said he was stunned and “almost dumbfounded” when Mr Lee “turned the spotlight” on four priests whom he criticised for venturing into the political arena. Mr Lee also seemed impatient with the Archbishop, and twice waved him aside when he tried to clarify some points. When the Archbishop read from a prepared statement, Mr Lee looked at his watch and asked him how much longer he would take. · Why he did not question PM: Father Kang said he had expected the Istana meeting to focus on the ISA detentions and the 16 detainees, but was shocked to be presented one folder on detainee Vincent Cheng and another on four priests. Asked why he did not question Mr Lee when the latter asked the delegation if they had any questions, Father Kang confessed that he did not have the courage to do so. He had asked Mr Lee one question, but did not dare say any more, because of the way Mr Lee acted at the meeting. · The detainees: Not very much was said about them at the Istana meeting. The Prime Minister dismissed detainee Vincent Cheng and the others as “stupid novices” and said that former student agitator Tan Wah Piow, who had been named as the mastermind of the Marxist conspiracy, was a “simpleton”. Father Kang said he got the impression that the real target of the Government’s action was not the 16 detainees, but the four priests. · The Istana press conference: The 10-member Church delegation had gone to the Istana in three cars. Archbishop Yong and the others were at their cars and ready to leave after their meeting with the Prime Minister, when someone came up and asked the Archbishop to stay behind. Some of the delegates went back to the Archbishop’s house and waited for him. When the Archbishop got back about an hour later, his first words were: “I was cornered.” He had just returned from a televised press conference held at the Istana. · The Review article: When he read the article soon after the Dec 17, 1987 issue came out, Father Kang recognised the unnamed priest quoted by Father D’Souza as himself. He had said the words at a “post-mortem” held at the Archbishop’s house on June 3 to discuss the Istana meeting. He was not surprised to see the account of that discussion in the Review, even though it had been a private meeting of some of the Church delegates and three of the four priests who had been named. In his 114-page judgment, Mr Justice L. P. Thean indicated that he was inclined to award full legal costs to the Prime Minister because he had “succeeded substantially on all the issues”. Mr Justice Thean held that both passages referred to Mr Lee and was defamatory of him by imputing “dishonourable and discreditable” conduct. Examining the Review’s defences, he rejected the argument that the two passages, as interpreted by the Review, were true in substance and in fact. On the first passage, he said there was no suggestion that Mr Lee had severely criticised the Church. The magazine had not proved that the 16 detainees were mere scapegoats either. On the second passage, he said there was no evidence that the Archbishop was tricked or pressured into attending the Istana press conference. He also turned down the Review’s plea that the two passages amounted to fair comment on matters of public interest. He went on to rule that Mr Davies and Mr Malik were guilty of “express malice” – ill-will, spite or wrong or improper motive – citing several incidents to support his conclusion. It followed, he said, that Review Publishing was also “vicariously liable”.